Throughout the entire Island of Ireland are thousands of lakes and rivers that are natural wonders. In addition, Ireland’s ancient past makes it an archeological paradise, with many sites dating back thousands of years. There is so much to explore and experience, that no matter where you travel in Ireland, it will be a fantastic exploration, with unsurpassed hospitality. The scenery is ever changing, simply spectacular, and literally unfolds before your eyes. Welcome to Dublin!! The capital and the largest city of Ireland, Dublin is home to a host of events, with a remarkable arts scene and collection of towering cathedrals and spectacular windmills. Its conventional pubs, ancient buildings, happening shopping streets and ultra-friendly people guarantee a pleasing vacation. After Immigration clearance and baggage collection proceed to the arrival hall where you will meet the chauffeur holding placard of your name. Transfer to the hotel. In the evening, you can walk down to the Chapter One restaurant known for its affordable fine dining experience. The choice is spectacular, Irish-caught yellow fin tuna with fennel and squid are among the delights. Overnight stay at the hotel. On your northbound route today, visit Drogheda, famous for the Battle of the Boyne in 1690. Wander through time, ancient gates and walls, sacred sites, battlegrounds and big houses, family fun and culture. Then pass through the fertile landscape of the Boyne Valley, known for its prehistoric passage graves. Cross the border into Northern Ireland and drive past the Mountains of Mourne to Downpatrick, the burial place of Patrick, Ireland’s Patron Saint, and on to the vibrant city of Belfast, where the Titanic was built. Check into the hotel and relax. Belfast lays claim to a unique history. And there's something for everyone to love. Shopping, tours, world-class dining, block rockin' beats, you name it - and Belfast has got it!! Overnight stay at the hotel. 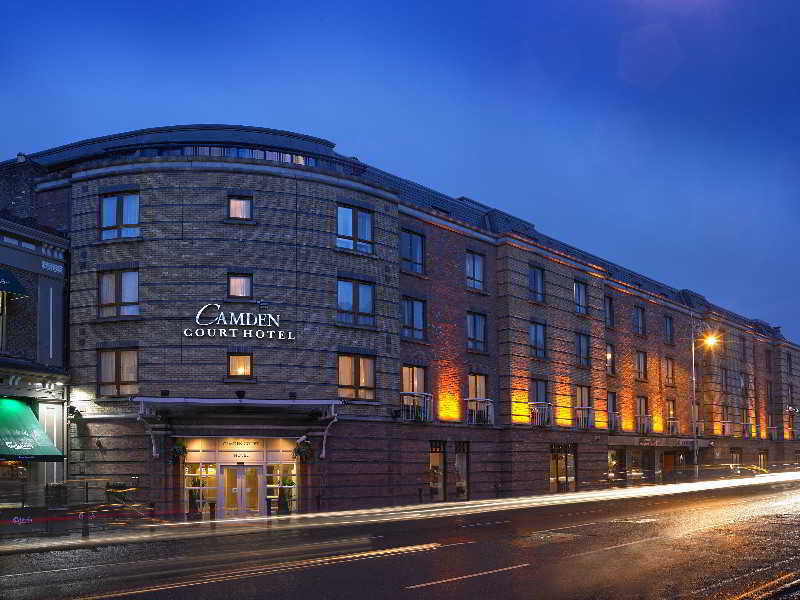 Make your vacation to Belfast a memorable one with this tour. On your way, visit the Carrick a Reide Rope Bridge, Bushmills Distillery, Dunluce and Carrickfergus Castles. You may also visit some of the film locations of one of the top shows of television, Game of Thrones. Drive through the Glens of Antrim and discover Carrickfergus Castle while observing the fantastic scenery. Next, test your nerves by walking over the Carrick a Rede rope bridge. Next, reach your destination, Giants Causeway. Giant's Causeway was created by an ancient volcanic eruption and is one of the top attractions in Ireland. Spend some time here before heading off to your next location. Once you have completed your tour of Giant's Causeway, visit Dunluce Castle and the Bushmills Distillery. For your final stop on the tour, pay a visit to locations the television show, Game of Thrones, has filmed. Return to the hotel. Overnight stay at the hotel. 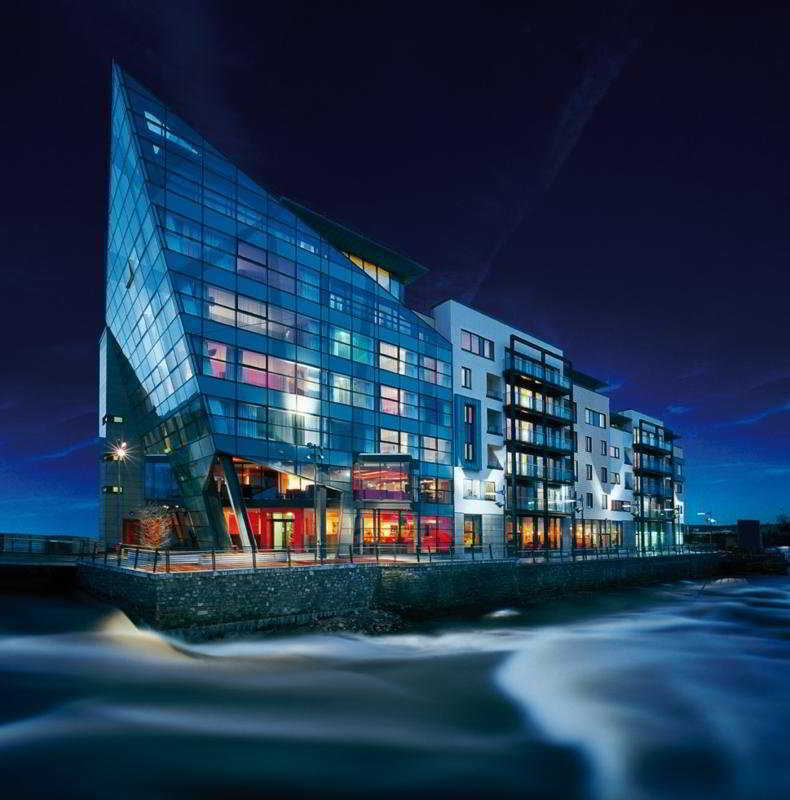 After a delicious breakfast, check out from the hotel and continue your journey to Sligo. Nestled between majestic Benbulben mountain to the north, ancient Knocknarea mountain and the Atlantic Ocean to the west, beautiful Lough Gill to the east, and the rugged Ox Mountains to the south, Sligo is one of the most picturesque places in all of Ireland and provide the beauty without the crowds! Upon arrival, check into the hotel. In the evening, explore the city centre on your own. Sligo still claims to be the home of traditional Irish music and no matter what night of the week, you can head out for a night of great music. Find nightly traditional music sessions in pubs like McGarrigles and McGlynns. Overnight stay at the hotel. This morning, check out and proceed to Ennis. Drive pass Knock, a village that has attracted pilgrims from all over the world since the towns folk saw apparitions. Then, head to Galway, a popular seaside destination and a buzzing cosmopolitan center with colorful shops and a busy café and bar culture. Cross the limestone plateau of The Burren to visit the spectacular 668-foot Cliffs of Mother and finally reach Ennis. Check into the hotel. Later, if time permits, you can visit the Bunratty Castle on your own, the most complete and authentic medieval castle in Ireland. At evening time Medieval Banquets are held in the castle and are open to the public to enjoy. It is an absolutely amazing night filled with music, laughter and cheer!! Overnight stay at the hotel. Today, checkout and head to Adare, a village known for its prize-winning thatched cottages. 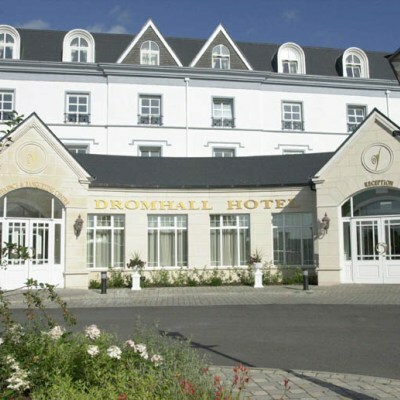 At Killorglin, enjoy the 100-mile coastal panoramic drive featuring sparkling seascapes, mountains dotted with brightly colored farmhouses, winding lanes bordered with subtropical vegetation, and spectacular views of the Lakes of Killarney from Ladies View and finally reach Killarney and check into the hotel. The vibrant little town and the incredibly beautiful surrounding countryside, makes Killarney a very special place indeed. Killarney is brimming full of history, heritage, and activities. Overnight stay at the hotel. The Dingle peninsula gets is name from the largest town on the peninsula. The "Slea Head Drive" is a spectacular scenic route on the Dingle Peninsula in South-West Ireland. The peninsula is often called Corca Dhuibhne, even by english speaking people. It means "tribe of Duibhne". On the peninsula there are two mountain ranges: the Slieve Mish Mountains in the east, and another range of mountains in the west that has no name. Mount Brandon is the tallest mountain in Ireland after the peeks of the Macgilly Cuddy Reeks outside Killarney. The Connor Pass is an absolute highlight that cannot be missed. It starts just outside the town of Dingle and ends on the other side of the peninsula near the village Castlegregory. It is Ireland's highest mountain pass. It is a narrow, twisting road surrounded by sharp drops and lakes. Return to the hotel. Overnight stay at the hotel. Get ready for more scenic splendor as you head over the Kerry Mountains into County Cork. Stop in Blarney, famous for its Stone of Eloquence, with time at your leisure to see the castle and shop for Irish crafts and handmade crystal. Then, drive past Cork, the country’s second-largest city on the way and then arrive at Tramore. 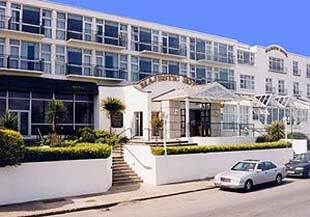 Situated on a hillside overlooking Tramore Bay, it has a fine promenade and a sandy bathing beach 5 kilometres long. Tramore, Waterford is a popular surfer's destination. Upon arrival, check into the hotel. If interested, you can opt for surfing on your own. Overnight stay at the hotel. Today, after breakfast, continue to the last leg of your tour i.e. Dublin. On reaching, check into the hotel and relax. Later, you can visit the Dublin Castle on your own. Dublin Castle is the heart of historic Dublin. The Castle stands on the ridge on a strategic site at the junction of the River Liffey and its tributary the Poddle. If you don't want to pay to get into Dublin Castle then stroll around the Dubh Linn Gardens hidden behind. It's the original place of the dubh linn (dark pool), from where the city drew its name and was recently landscaped into a garden. Overnight stay at the hotel.